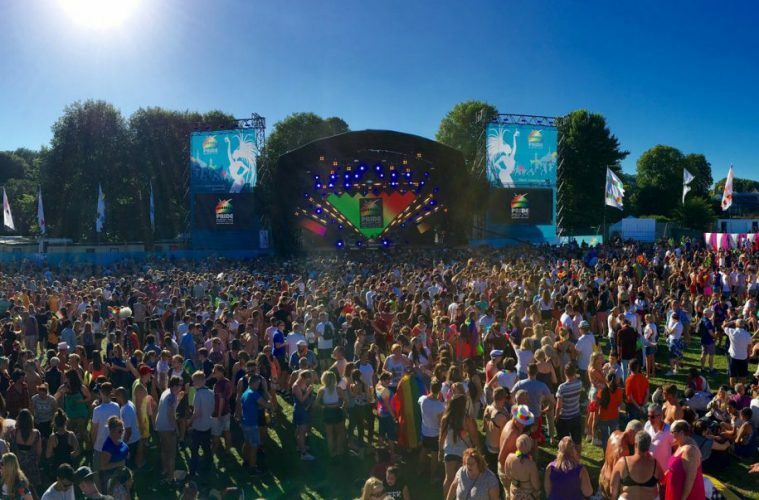 Around 300,000 people are thought to have attended the Pride celebrations in Brighton this weekend (6-7 August), with organisers emphasising that LGBT rights still have ‘a long way to go’. A minute’s silence was held during the festival to remember the 49 people killed on the night of last month’s Orlando nightclub shooting, which took place on 12 July. Paul Kemp, director of the festival, said: “Despite the advances of equality and equal marriage in the UK, the recent horrific event in Orlando and continuing attacks on LGBT people and communities globally have highlighted there’s still a long way to go. “Brighton Pride 2016 will be more important that ever and I ask all allies and friends of the LGBT community to come out and stand shoulder to shoulder with friends and family to stand up against all hate crime. Twenty-five people were arrested during the festival, largely for drug and alcohol-related offences, and Chief Superintendent Nev Kemp, Brighton & Hove divisional commander commented: “I was delighted to be able to march in the Parade again this year, which has to be one of the most enjoyable opportunities I have each year as the city’s policing commander.